Certificates sold in $10 and $20 increments. Not valid on the same day of purchase. Certificates not valid toward online transactions and cannot be used until after 12/25. 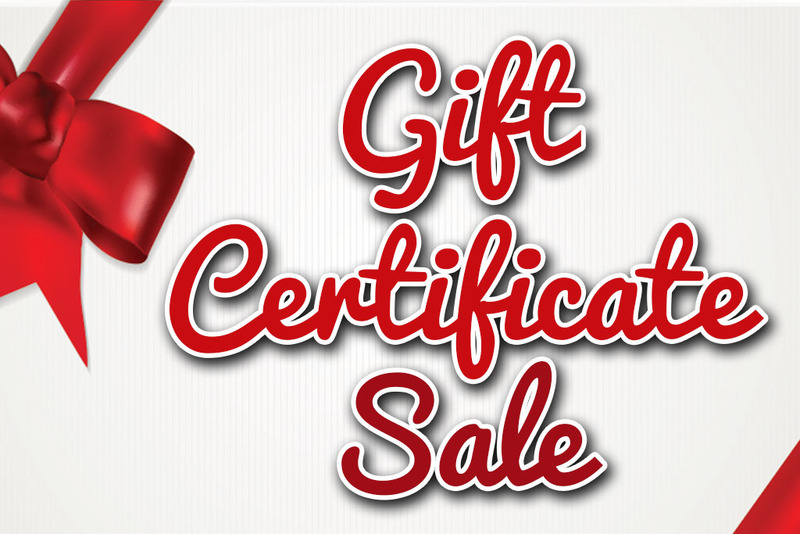 Buy certificates online & we will ship them for you! A $2 shipping fee will be added to your total.